My husband, Alan, and I have made a conscious decision to do as much traveling as possible before we start having kids. Which is why we took another vacation only a matter of months since our honeymoon, because why not? It just happened to time perfectly with the date we closed on our house and finished moving. 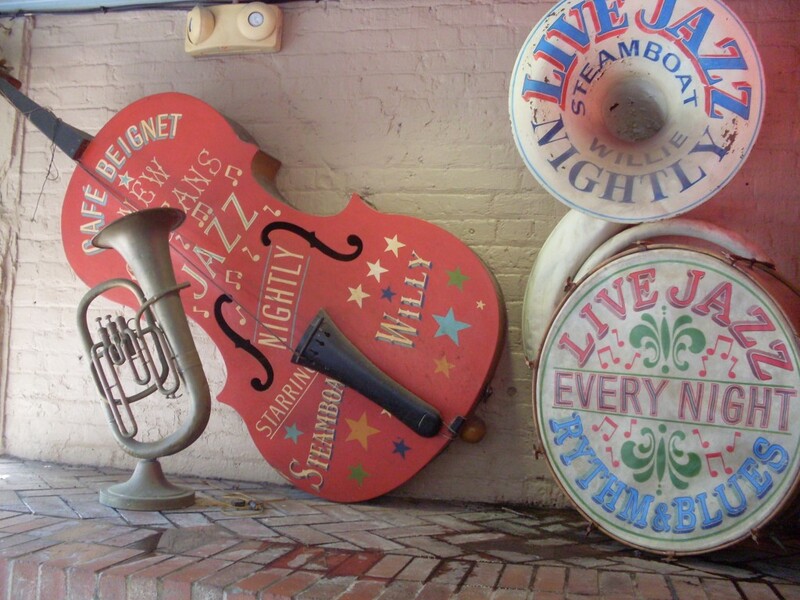 The first part of our vacation consisted of a weekend in New Orleans, since neither of us had ever been. 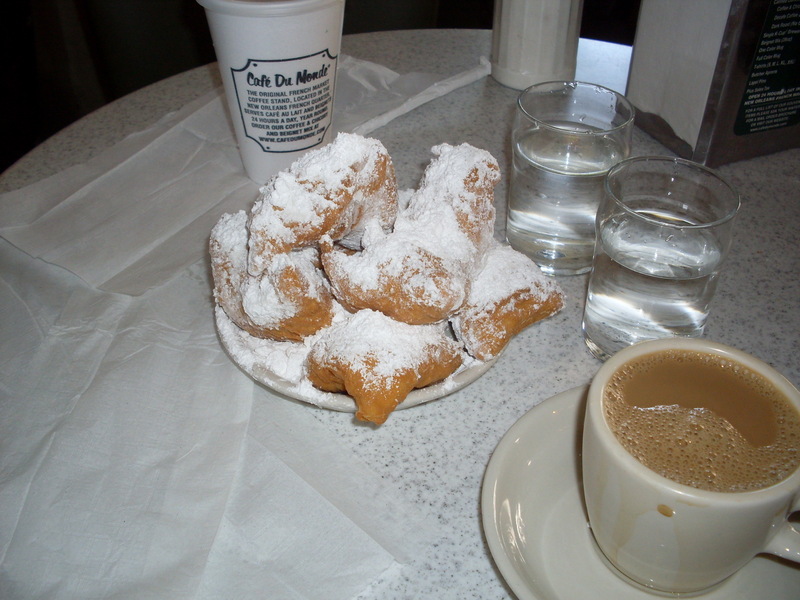 We got into the city very late on a Friday night, so our adventures started the next morning with a trip to Cafe du Monde to get some delicious beignets! We spent much of Saturday walking around and exploring close to the river. We went to the Audubon Aquarium of the Americas, which was exciting to see, as we don’t have big aquariums like that in Columbus. It was a beautiful day to walk around the city. 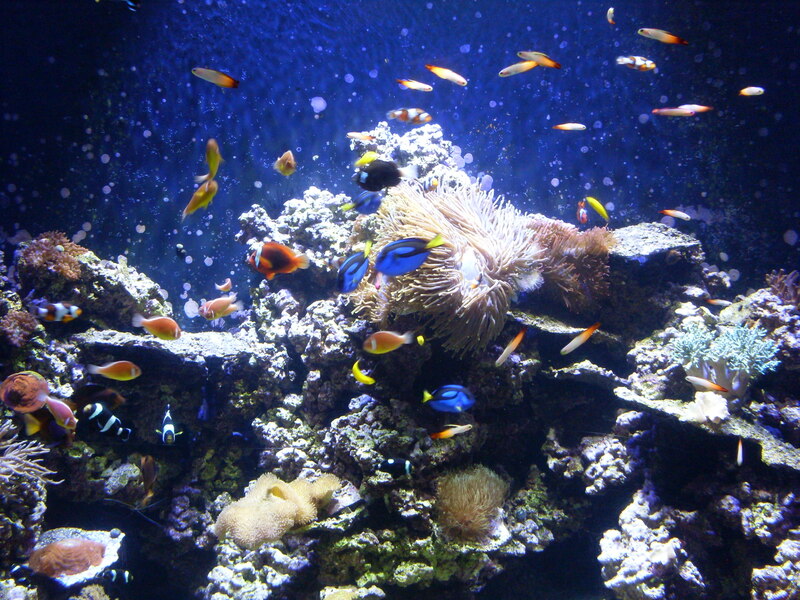 Just one of the many, many pictures I took at the aquarium (and one of the few that didn’t turn out horribly). Alan had also read somewhere online about people getting on the St. Charles streetcar and riding it all the way to the end, just to see the old neighborhoods and homes. Since we had bought a three-day streetcar pass anyway, we figured, why not? Once we actually got to sit down in the streetcar, it was fun to watch the neighborhoods go by. Later that evening, after getting another delicious meal, we went to listen to a show at Preservation Hall, something my music nerd sister, Laura, had highly recommended that we do. Sunday consisted of more delicious food! 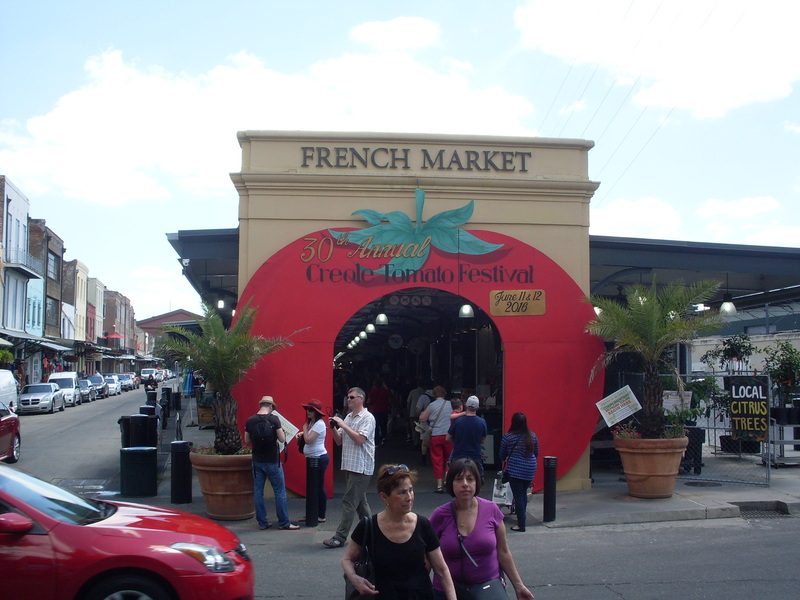 We also went and explored the French Market before going to Mardis Gras World, to see where many of the floats for the parades are designed and made. 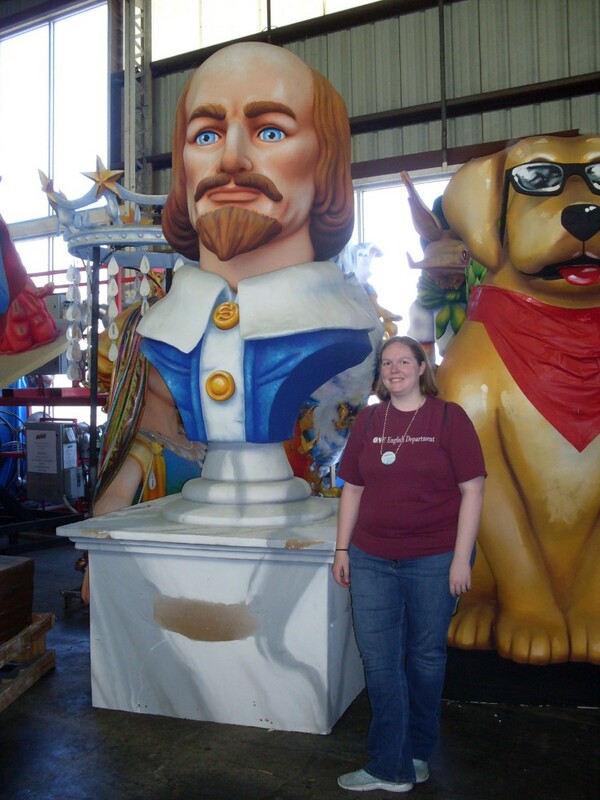 We got to see the props and floats up close — I never realized how big they were! 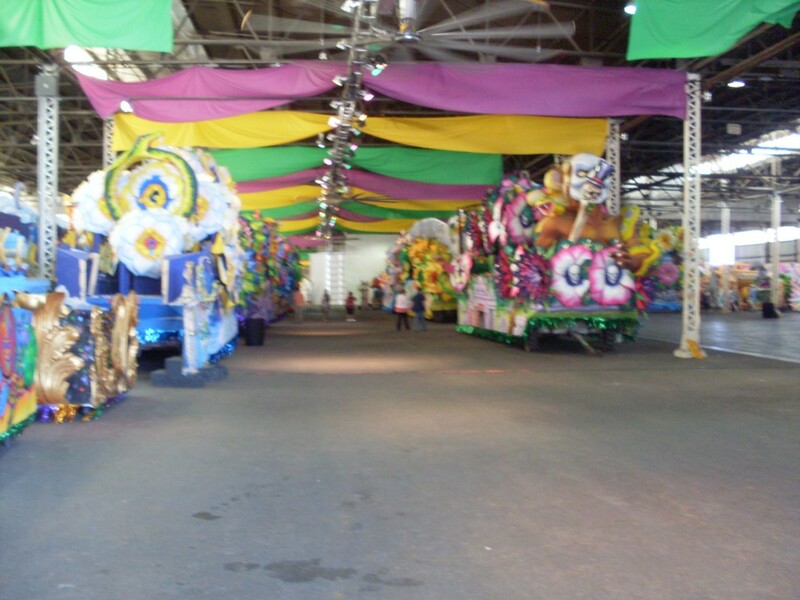 Inside the warehouse at Mardis Gras World. 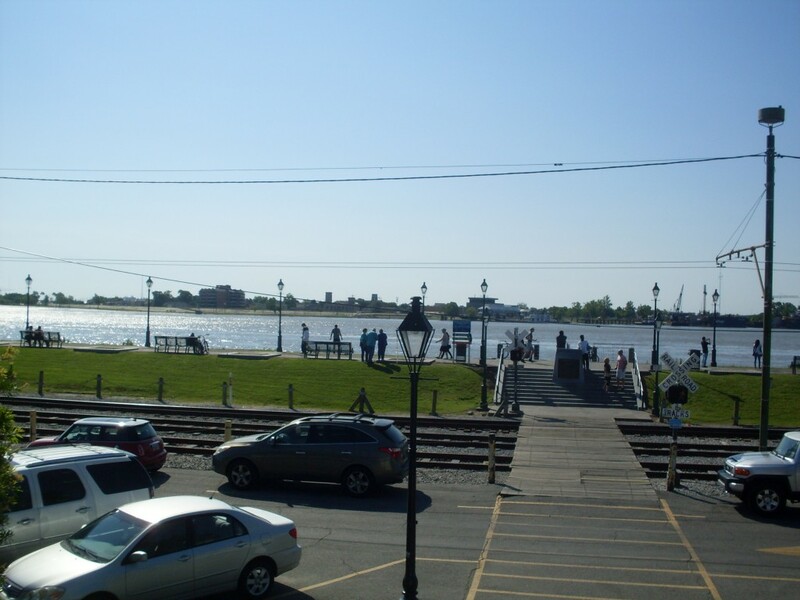 Our cruise left from New Orleans on Monday, which was why we were able to have a weekend there in the first place. We checked out of our hotel and headed down to the port. 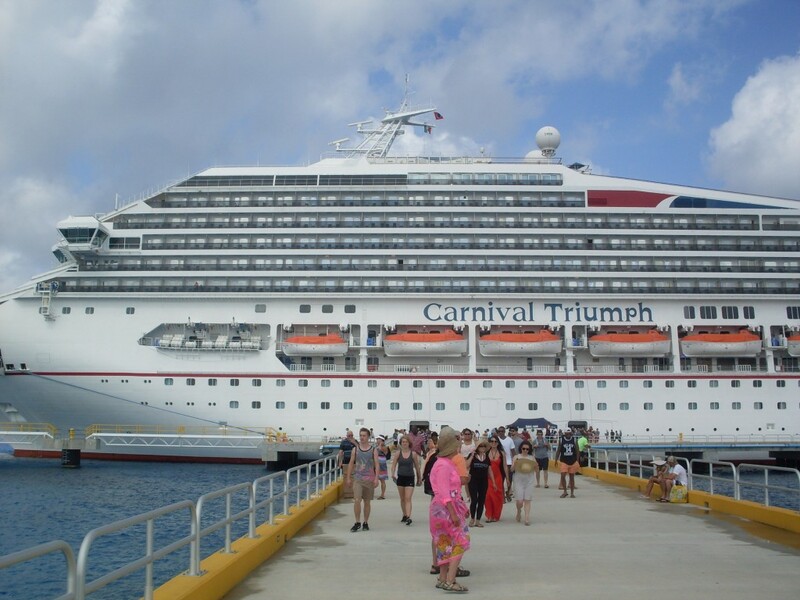 It took a little big of time (rumor had it that someone from the cruise that was offloading hid on the ship and wasn’t getting off), but we finally boarded the Carnival Triumph! 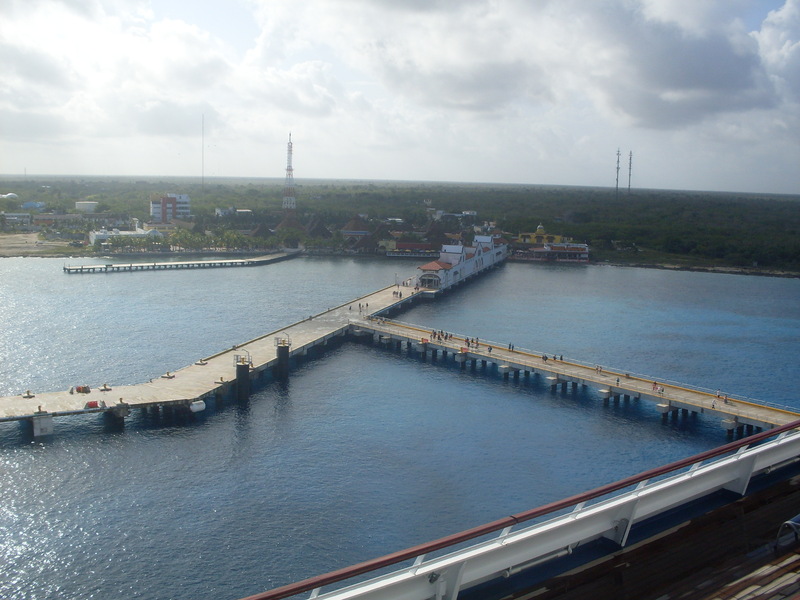 Our cruise was a five-day cruise to Cozumel and Progreso, Yucatan. 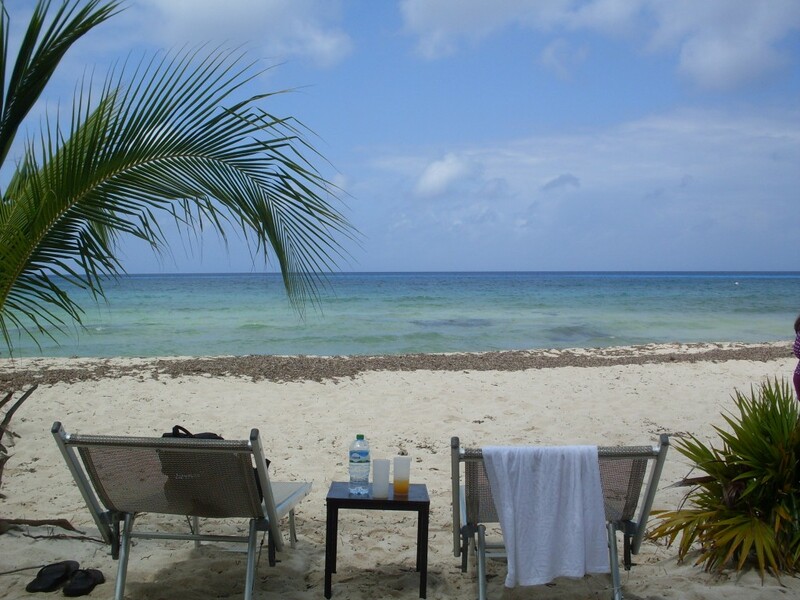 The first stop was to Cozumel, a small island off the coast of the Yucatan peninsula of Mexico. It’s a beautiful area with lovely beaches, which is why we decided to use this stop as our beach day. We went on an excursion to an all-inclusive, private beach, which was only available for a small number of people. It was so nice to spend a few hours laying on a beach chair, enjoying the nice weather (save for a freak 20 minute downpour during lunch), and reading (at least in my case). 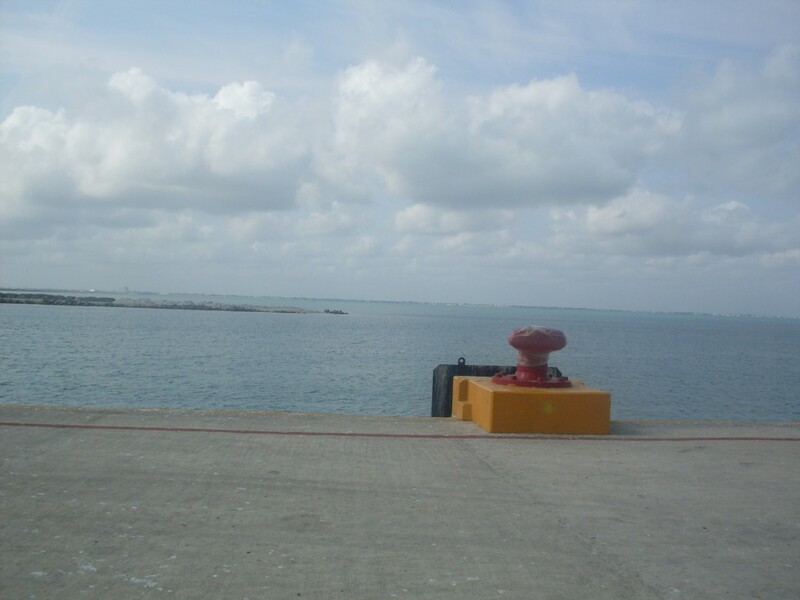 The second stop on our cruise the next day was at the port of Progreso. The interesting thing about this particular port is that it is home to the longest pier in the world — I believe someone mentioned that it’s three or four miles long. Because of the reef and how shallow the water gets any closer to shore, they had to build that long of a pier for the cruise and cargo ships that stop in that port. The view of shore…from the dock. You can just barely make out the buildings. We did another excursion here too! 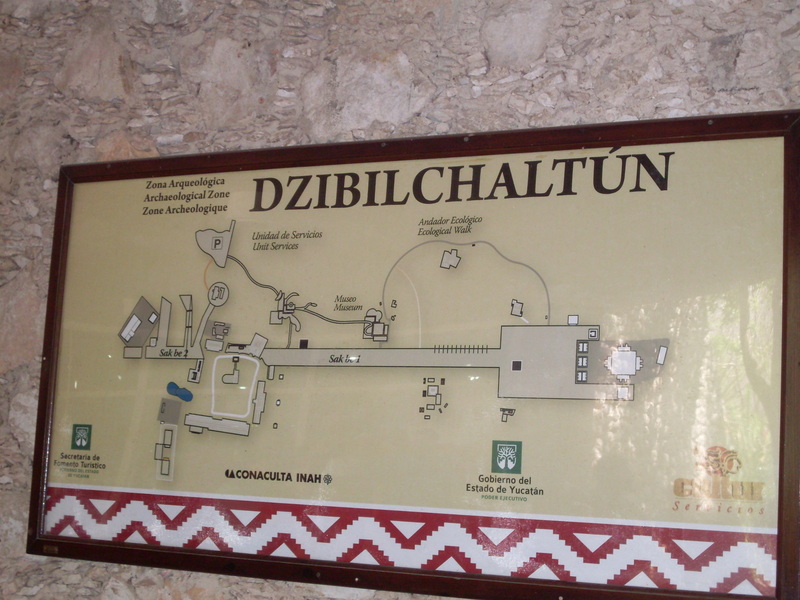 This time we went on a tour to Dzibilchaltun, a small Mayan ruin village. 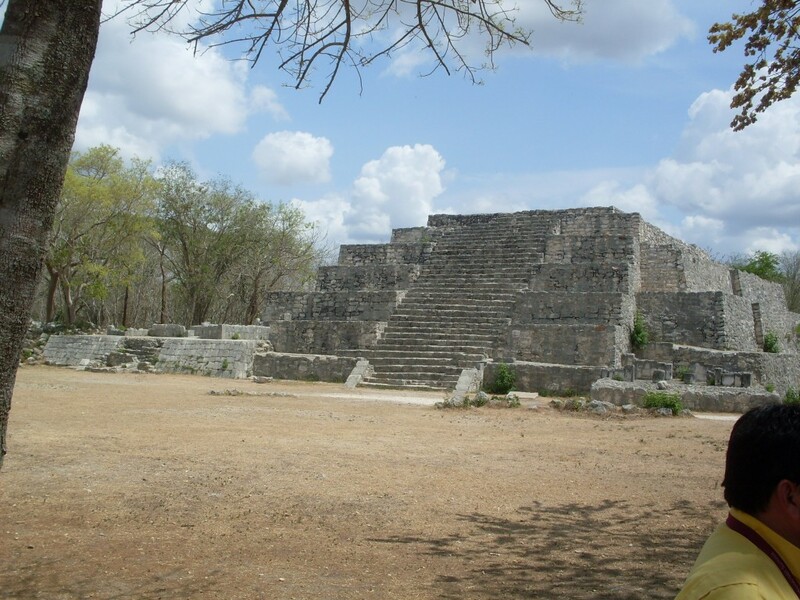 It’s very close to Merida (the main city near Progreso), so it was only a twenty minute bus drive (as opposed to the two hour bus drive you’d get to enjoy if you wanted to go to the famous Chichen Itza). The other plus was that, unlike some of the other ruins, you could actually climb on the ones in Dzibilchaltun. I was a chicken and was only able to climb halfway up. After spending a couple hours at the ruins, we then got to go to a traditionally made Mayan lunch at a small restaurant/brewery not far away. 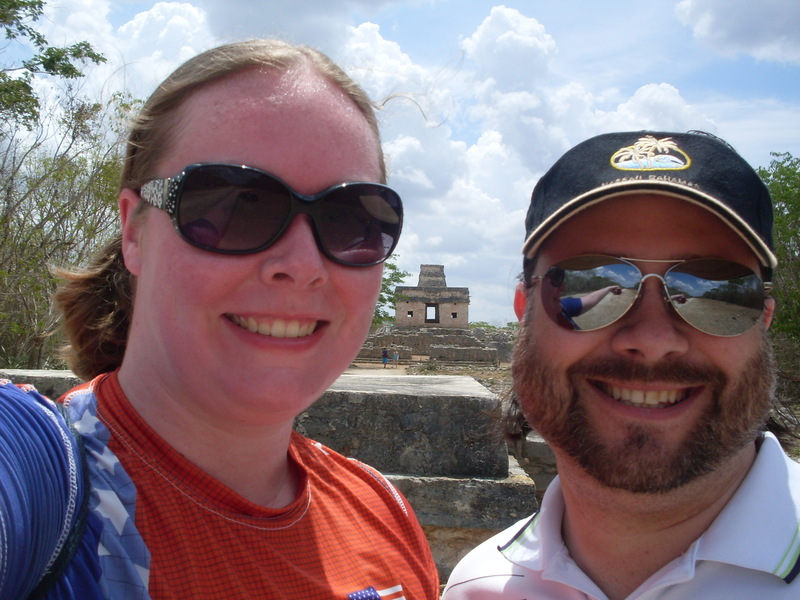 After that, we got the driving tour through Merida, which is really a beautiful city. It’s also home to one of the oldest cathedrals in the world! 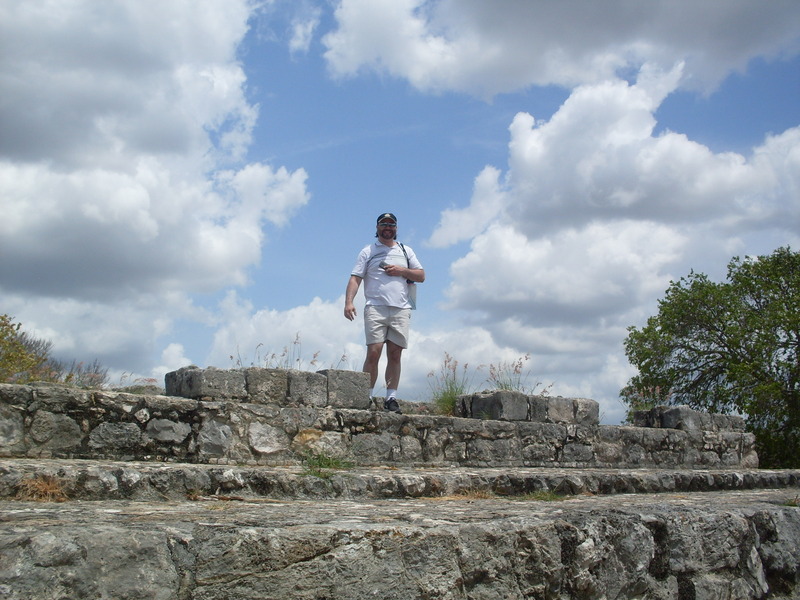 The other days on our cruise were sea days, because it takes that long to get between New Orleans and the Yucatan peninsula (largely because we had to sail down a stretch of the Mississippi River, which takes several hours). 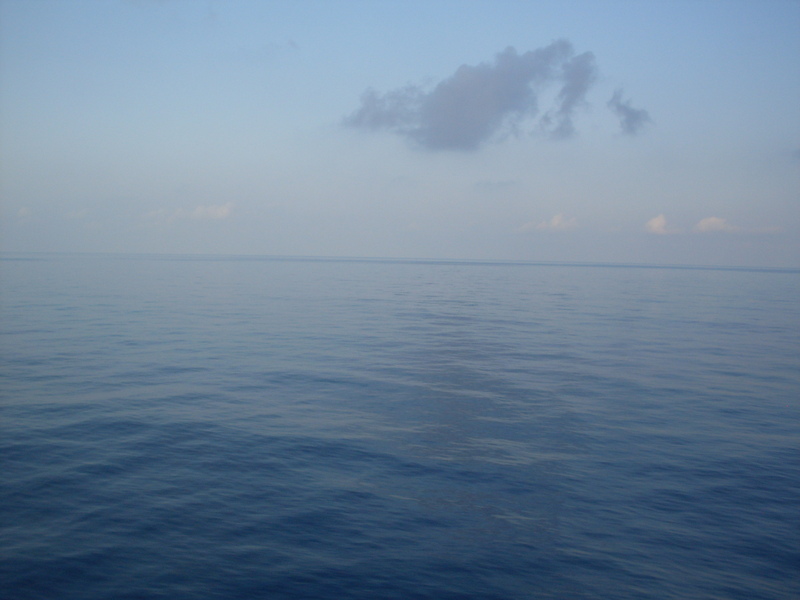 This was our view on our two sea days — water as far as the eye can see! As always, we were sad to see our wonderful vacation end. Hopefully we’ll get to go on some more travel adventures soon! This entry was posted in travel stories and tagged cruise.